On Tuesday, October 7, 2014 Answering TTP Foundation held its annual Toronto and Virtual Support Group and Info Session. This meeting was the third time the Foundation was able to integrate a virtual participation option that allowed participants from around the globe to use their telephone and computer to participate and listen in. The Support Group and Information Session followed a simple format that engaged both in-person participants and those who joined virtually by calling in. CLICK HERE to read our blog about TMAs. 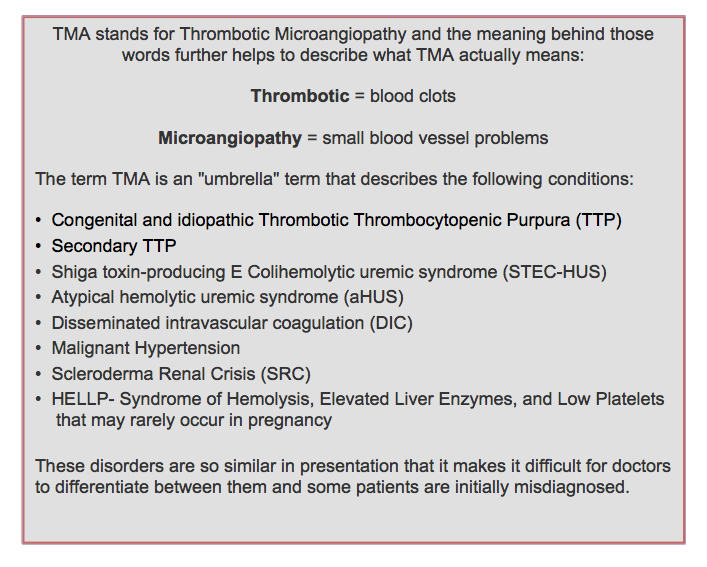 We owe a big thanks to Dr. William Clark for his pre-recorded presentation regarding Thrombotic Microangiopathy (TMA). 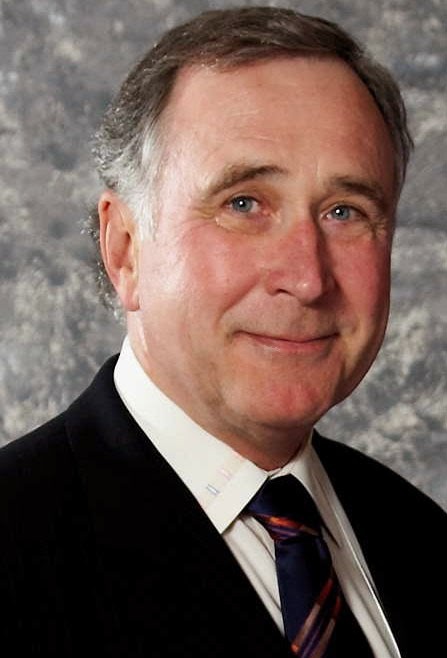 Dr. William Clark is a professor of Medicine at the University of Western and a Physician at the London Health Sciences Centre. Dr. Clark is actively participating in research in the area of TTP and the Foundation is excited to be co-funding his current research project entitled Long-Term Vascular Outcomes of Idiopathic Thrombotic Microangiopathy Treated with Plasma Exchange. Dr. Clark’s presentation was very thorough and discussed the difficulties faced by physicians when diagnosing patients with a specific TMA, as many TMA’s present similarly. He went into depth on several TMA’s and outlined the commonly used treatments for each. Participants listened to and watched the pre-recorded presentation, after which Dr. Clark was able to join in via phone to answer any questions the participants had with regards to the presentation, as well as general questions about TTP. To watch Dr. Clark’s presentation please click on the link below. Following the presentation portion of the evening, Diana Hermosa, a local patient who was able to attend in person, helped to break the ice for the breakout groups by sharing her TTP experience with everyone. Diana was diagnosed with TTP in November 2013 and has shared her personal experience with the Foundation officially; her entire story can be found HERE. Thank you Diana for helping us kick off the breakout group’s − your story inspired others to share theirs! The breakout groups offered all participants, in person and virtually, a unique opportunity to share their experience with other TTP patients, supporters and nurses who participated in the evening. Medical Advisory Network (MAN) – has been established to provide support to other medical professionals who may have a challenging case of TTP, to allow for collaboration. Translation - of our trusted TTP Patient and Supporter Information Brochures – in French, Italian, Portuguese, Simplified Chinese, Russian and Punjabi. English and French versions are available in hard copy free-of-charge; other languages are available for free download HERE. TTP Awareness Hats - have been created and are given to patients and supporters who share their stories with the Foundation officially on our website. Research - The Foundation is currently funding 4 research grants! To date, the Foundation has committed $647,879 to research grants through 2016. She also took the opportunity to announce the Foundation’s first TTP Stakeholder Collaboration Meeting! Please plan to join us in June 2015*, in Toronto, ON. The Foundation is excited to announce that plans are well underway for our first TTP Stakeholder Collaboration Meeting. This two-part event will take place on two dates* (between June 20 and June 28, 2015), with each date having a unique focus and objective. Part one of the meeting will engage physicians and research professionals to discuss best treatment practices and will open the doors for future collaboration aimed at effective TTP research. Part two will be dedicated to TTP patients, providing opportunities for feedback that will help the Foundation to develop a Comprehensive Care document. It is our hope that this meeting will help to strengthen the Foundation’s voice and community. A limited number of travel scholarships will be available to patients on a first-come, first-served basis. *Exact dates to be announced. The Foundation is working to align the Stakeholder Collaboration Meeting with the International Society on Thrombosis and Haemostasis Conference. Are you looking for a TTP Support Group in your area? Why not organize one? The Foundation can help you with this and Support Groups are a great way to reach out to your local community to help meet others with TTP and their supporters! Your event doesn’t have to be a large-scale meeting; coffee shops are sometimes the best settings for the first event in an area! Learn how we can help you to organize a support group in your area, so that you and other TTP patients and supporters can benefit from this type of support!